The corporate scandals in Australia during 2000 shook the public confidence and trust in the accounting and auditing industry. 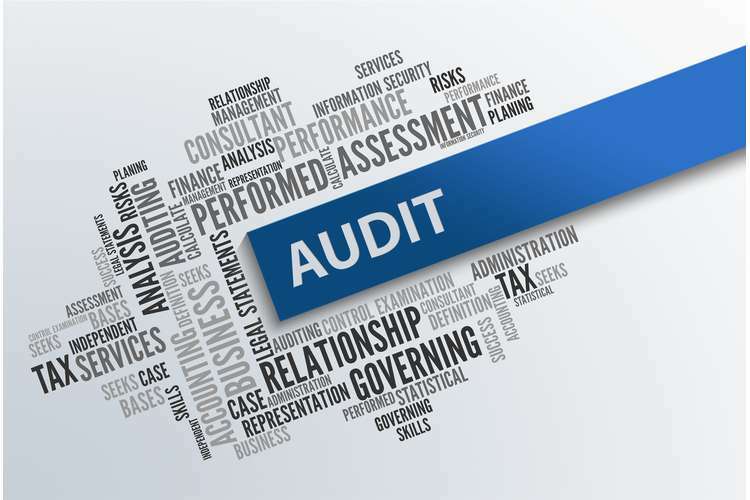 The audit industry, as a result, decided to test all the procedures and policies so as to understand the root of such scandals, that is, from where the default is arising such as due to weak internal control, audit committee, ethical issues, absence of professional conduct from auditors, strategic management's responsibilities or the legal liability of auditor. The following discussion is about implications of corporate collapses by having reference to the case of Harris Scarfe which took place in 2001 and was collapsed with a debt of $265 million dollars (Calderon, Song, & Wang, 2016). The above table clearly establishes the fact of not complying with the audit committee requirements as majority directors are non-independent. The reason of expecting independence from audit committee is they stand at a position to communicate with both the internal audit team and external audit team so that there is no constraint or restriction on the scope of their work. As there is an absence of independency in the Harris Scarfe's audit committee's composition, it is expected of it not working at its full potential. Also, where the audit committee is required to meet at least four times a year, the audit committee under question met thrice in 1992, twice in 1997,1999 and 2000 and just once in 1996. While it is difficult to test the effectiveness of these meetings, the infrequency of meetings wasn't a good sign (Knubley, 2010). 2. Ethical Issues: Ethics is an important tool for the professionals and for those who trust on their services. The intended users of the financial reports require the financial statements to be objective, reliable and highly contented. This is why, it is important for the accounting and auditing professionals to act ethically in their professional competence. In highly competitive markets, ethics act as a challenge for auditors to keep their client's needs aside and act independently without concerning about profits they could have earned and provide highly qualitative audit reports (Monk and M.S Wilson, 2016). Thus, the question arises on the independency of auditors as well as the non audit services provided by him or her whether it is compromising with the independence of the auditor's role (Kusano, 2018). Ernest & Young was replaced by Pricewaterhouse Coopers as Harris Scarfe's auditors in the year 1998. It was revealed that PWC received $120,000 for providing audit services while for non-audit services, it received $211,284. Such non audit services were recorded as 'other services' in the statements and the doubt arises when such other services were found unexplainable in the reports. It is like the auditors who are expected to work in the best interest of shareholders are performing such unexplainable services for their clients. Also, the suspicions arose about whether such services have compromised with the auditor's independent nature or not. 3. Auditor’s Independence: The common liability of the audit firms was not being able to trace the weakness of the company and was responsible for not acting with due care or in their professional competence while performing their audit work. The claim was that the auditors lacked control over their work and are responsible in a sense that they depended themselves on the misstated financial information provided by the management. The suspicion regarding auditor is that they failed to find the irregularities in the accounting department. Also, they were expected to have compromised with their independence and might have somewhere helped their client to represent fraudulent profits to enjoy the benefits of a strong reputation in the market (Magazine, 2015). However, an external auditor is not a guarantor but only provides reasonable assurance about the financial accounting statements that whether they are free of material misstatements. Preparation and presentation of such financial statements is the management's responsibility and the external auditor has to rely on the information provided by them (Lyon, 2010). Thus, an expectation gap arose. In the following case, the judge declared was against the Chief Financial Officer (CFO) who was sentenced to 6 years jail and the Chairman who was charged for acting fraudulently. However, the audit firms wasn't found at guilt as giving true and fair financial information is the duty of the management and the auditor's duty starts after that and ends with the reasonable assurance provided by it. However, the court might not have found the audit team guilty but they were responsible somewhere for not assessing the fraud. The above three discussed issues reflected the lack of independence in the external auditor's role and the audit committee. It also reflected the absence of ethical framework within which the company, the audit team and every other professional is supposed to act. Thus, a default arose in the ethical and accounting framework (Mat Zain, Zaman, & Mohamed, 2015). Moreover, above all these, the default was in the intentions of the company that played fake to retain their shareholders as well as enjoy all such benefits that comes to a well reputed company such as strong credibility, public confidence, sanctioning of financial loans from banks, Inflated stock prices in the market, etc. The second discussion is regarding the developments made or policies adopted following the Harris Scarfe collapse. Following the corporate collapses taking place in Australia, several recommendations and initiatives were adopted by the regulatory bodies (Malaescu & Sutton, 2015). 4. Response from government accounting professions: CLERP 9 (Corporate Law Economic Reform Program) was a response from the government that incorporated a number of additional independent standards into the Corporation Act. Earlier, before the HIH Insurance collapse, the Australian Accounting Standards were in consistent with IFAC's International Audit and Assurance Standards Board (IAASB). However, with introduction of CLERP 9, such standards have been backed legally. The government focused on exploring the audit independence and focused on having efficient corporate governance within an organization. It involved an active role from the side of audit committee that they should participate actively in the whole audit process and shouldn't be just concerned with the final output. CPC F. 1 came into effect on 31st December, 2003 and was made mandatory. According to this norm, the auditor's independence is explained again and a safeguarding system should be adopted and assessed so as to increase the quality of control done by the auditor (Mazza & Azzali, 2018). The legislation, applied on 30 June, 2004, is composed of 14 clauses that included auditor’s independence, auditor's rotation, audit quality, auditor's liability, enhanced importance of corporate disclosures, etc. This initiative was to increase the transparency, reliability, accountability and enhance shareholder's rights. However, CLERP 9 is all about audit independence and doesn't necessarily offer a framework within which this can occur. Australian Stock Exchange (ASX) : Experiencing a number of corporate scandals on a short span in Australia made a strong urge for ASX to set up a corporate governance council. This council is basically composed of representatives of professional groups and key persons of big organizations to review the standards of corporate governance as an initiative on the behalf of ASX. The primary objective of this council is to incorporate principle based recommendations regarding the practices of corporate governance which are to be incorporated by the listed organizations. Such recommendations are introduced with an intention of enhancing the investor's trust & confidence and also provide assistance to the organizations so that they meet up with their stakeholder's expectations. Accordingly, ASX listed companies are required to practice such governance that meet up with the Council's recommendations. Year 2001 in Australia didn't only experience Harris Scarfe collapse but also the collapses of HIH Insurance, Ansett Australia and OneTel that happened one by one in a short time span. Therefore, we can consider 2001 as the year of corporate collapses and accounting scandals of Australia. There is no doubt that there were irregularities in the accounting norms. However, such irregularities are less likely to occur in entities having strong corporate governance and a strong control over its business. Harris Scarfe lacked such practices and in fact, neither the audit committee nor the board of directors possessed the required independence. Such a collapse resulted in demanding of more transparency and greater levels of accountability from the management regarding the financial performance and position of their companies. On the other hand, the auditor is expected to take an initiative of assessing such irregularities and have a reconsideration of issues such as ethics, his legal liabilities and his independent nature. The main focus of the accounting & auditing industry is to enhance the audit quality that works in the best interest of all the external and internal stakeholders because satisfaction of stakeholders is important as the nation overall desires a flourishing economy which doesn't come only with the profits but also with all those people who directly and indirectly influence such profits. 2. Jensen, M., & Meckling, W. (1976). Theory of the firm:Managerial behaviour, agency cost and ownership structure.Journal of Financial Economics , 305-360. 3. Joubert, M. (2017). Implications of the New Accounting Standard for Leases AASB 16 (IFRS 16) with the Inclusion of Operating Leases in the Balance Sheet.The Journal of New Business Ideas & Trends , 14-15. 4. Knubley, R. (2010). Proposed Chnages to Lease Accounting.Journal of Property Investment & Finance . 5. Kusano, M. (2018). Effect of capitalizing operating leases on credit ratings.Journal of International Accounting, Auditing and Taxation . 6. Lyon, J. (2010). Accounting for Leases: Telling it how it is.Journal of Property Investment & Finance . 7. Magazine, S. (2015). Planning, producing and maintaining quality content. Content Stratergy. 8. Malaescu, I., & Sutton, S. (2015). The reliance of external auditors on internal audits use of continuous audit.Journal of Information Systems , 29(1), 95-114. 9. Mat Zain, M., Zaman, M., & Mohamed, Z. (2015). The effect of internal audit function quality and internal audit contribution to external audit on audit fees.Internal Jouranl on Auditing , 19(3), 134-147. 10. Mazza, T., & Azzali, S. (2018). Information technology controls quality and audit fees: Evidence from italy.Journal of Accounting, Auditing & Finance , 33(1), 123-146. 11. Monk, E. and M.S Wilson, R. (2016). Accounting education: An International Journal. Audit decision-making education.